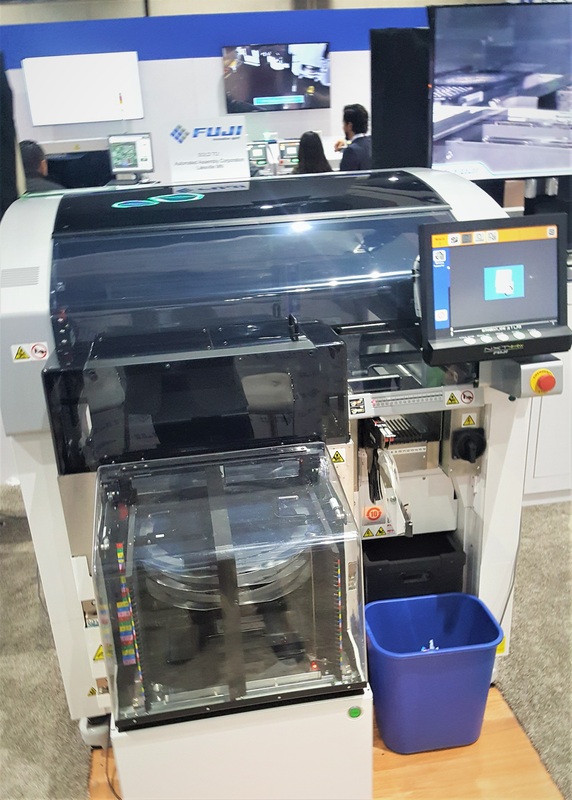 LAKEVILLE, MINNESOTA & NAGOYA, JAPAN — (BUSINESS WIRE) — AUTOMATED ASSEMBLY CORPORATION and FUJI MACHINE MANUFACTURING COMPANY LTD., today announced the purchase and delivery of the first Roll-2-Roll SMT DIE from Wafer Placement Machine (Model: NXT-HW) in the United States. Automated Assembly and Fuji engineering teams collaborated on the design and Automated engineers completed the process by modifying the controls to operate the NEW NXT-HW Die from Wafer placement machine offers Automated the ability to place bare die in a true Roll-2-Roll production line for our U.S. production facility in Lakeville, MN. 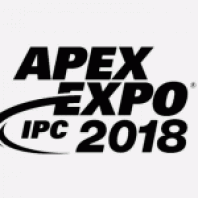 The agreement specified that Automated Assembly will take possession of the equipment after the IPC APEX EXPO. The NEW NXT-HW is a highly productive, multi-functional modular placing machine. Built for speed, it features a faster XY robot and tape feeders, as well as a new H24 head that achieves 35,000 chips per hour. The NXT supports the smallest parts being used in mass production with extreme placing accuracy. 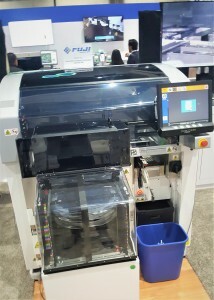 The Fuji NXT-HW provides Automated Assembly with a fully automated Die from Wafer Machine to incorporate into AAC Roll-2-Roll SMT line for use with our new Patented Wire-Write® technology that eliminates the need for an etched circuit producing the “GREENEST” RFID Tag, and LED Strip on the market. Automated Assembly is a leading supplier of RFID Tags with approximately 60% of World market for Toll-way tags having produced over 100m tags Worldwide. 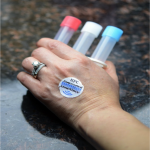 Automated as a low-cost, easy-to-use and simple-peel and stick tag that can be used for applications that require destructible and non-destructible tags. Automated has helps design RFID products for the Medical Industry delivering tags for validation, authentication and security. Automated Assembly achieved record revenue growth in 2016 and 2017 is expected to continue that trend. Using the new Fuji machine will help us move into the next phase of growth. Company revenue increased 40 percent from 2015 with profit more than doubling from the prior period. The secret behind the success of Universal Robots is a clear strategy based on these three key goals: focus, simplicity and tough execution. Automated Assembly is a result of many years of refining the manufacturing process with the ultimate-goal of producing a totally “GREEN” product. 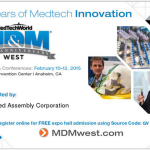 The company was founded in 1991 by Scott Lindblad, CEO and World Patent holder of SMT Flexible Circuitry. Automated Assembly has made automation the cornerstone of our Company’s Flexible Circuitry Manufacturing Process. Automated Assembly has multiple patents and proprietary processes for manufacturing on flexible circuitry. Our team of experienced engineers have worked to refine these processes working toward the goal of quality and efficiency using fully automated Roll-2-Roll production lines. We believe continual investment in automation is the key to zero defect assembly and continuous cost reduction. The company is headquartered in Lakeville, Minnesota, USA. For more information, go to www.autoassembly.com. Over 35 years ago, Fuji Machine Manufacturing (FMMC) started producing electronic assembly equipment. Through the years, we have remained committed to creating, developing, and manufacturing the surface mount (SMT) industry’s most innovative assembly solutions. Fuji America operates under the supervision of Fuji Machine Manufacturing. Headquartered in Vernon Hills, Illinois, Fuji America provides sales and support to our North American customers. For more information, visit www.fujiamerica.com. This release contains forward-looking statements regarding the transaction, Automated Assembly’s future business prospects and market conditions. Such statements are based on the current assumptions and expectations of Automated Assembly management. Automated may elect to update these forward-looking statements at some point in the future. These forward-looking statements should not be relied upon as representing Automated Assembly’s views as of any date subsequent to the date of this release.